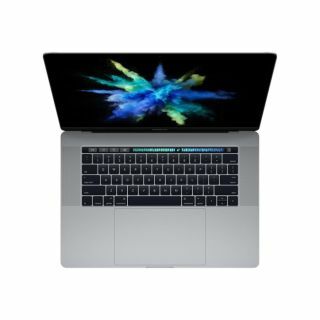 Good news – we’ve found £590 off the 15-inch MacBook Pro with a great Black Friday deal at Laptops Direct, but stocks are limited so you’ll have to be quick! Apple's MacBook Pro laptops are designed to be all-in-one creative hubs, so make great buys if you're looking for something powerful and refined for editing images. Read our thoughts about it when we suggested our best photo-editing laptops in 2018. This fantastic offer is for a 15-in MacBook Pro with Intel Core i7 processor and 16GB of RAM. A 256GB flash drive will be plenty for storing the files you need to keep at hand, and the laptop is ready to go out of the box with Apple’s macOS 10.12 Sierra pre-loaded. The 2880x1800px screen may not be one of Apple’s Retina displays, but its brighter LED backlighting and increased contrast ratio delivers deeper blacks and brighter whites – plus, it’s less power-hungry than previous iterations. Wide colour technology with even more vibrant greens and reds means that images will be displayed with realistically vivid details – essential for editing, graphic design and colour grading. Connectivity on this MacBook Pro model comes via two USB-C ports on each side, so you’ll need a dongle to connect legacy devices such as USB-A, HDMI and Apple’s Thunderbolt 2. This MacBook Pro can be charged via any of its USB-C ports, and Apple specifies 10 hours between charges, depending on how it's used. Slim, stylish and weighing just 1.83kg, this could be all the laptop you need – especially with 26% off the price.